There were allegations that governor Okoth Obado who is currently in court facing murder charges and had to spend the weekend at the Gigiri Police Station tried to commit suicide in police cells. The police dismissed the rumors as untrue and baseless. However, a Twitter user who claims to be privy to the matters at hand has come out to state his version of events that took place inside and outside the police cells. 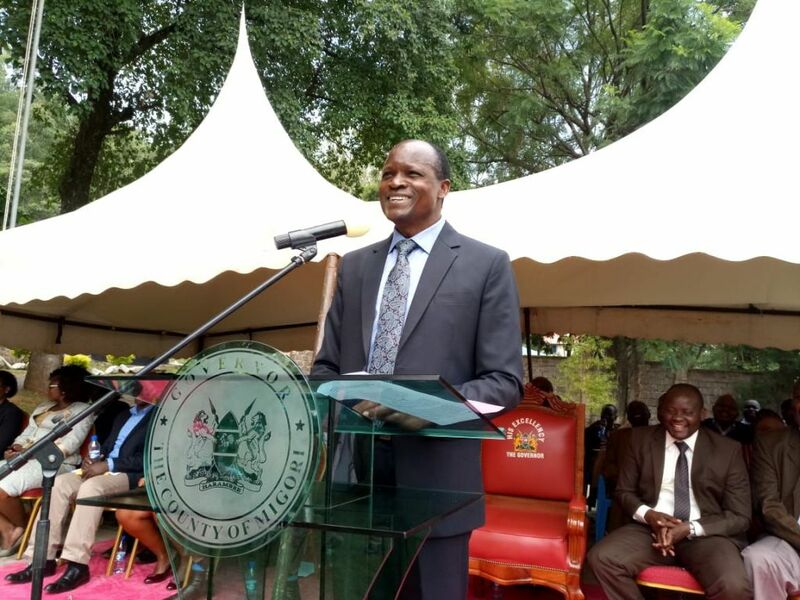 Governor okoth obado did not attempt suicide,he collapsed @ Gigiri Police station,was rushed to hospital bt is now back in custody.However,his 1st son (Don Totto) attempted suicide & he's being hospitalized. Journalists were barred from accessing the hospital. The few who are privy to this matter have been paid 20k each not to run the story. Obado did not collapse because of medical conditions but because EACC had freezed both local & international family accounts.The family is techinically broke now. His daughter studying medicine by the name (Casablanca Kenya on Facebook) is a social media braggart whose bank account holds millions of millions ksh. Eliud obonyo,the immediate former CPO of migori resigned after Mama Helen obado expressly instructed him to award Dan Totto..
..on this forum & who runs what I hear is the biggest car hire company in the city. Other than the DCI who are investigating okoth over the death of Sharon,& who have concluded that they have enough evidence to take him to trial, the EACC are also now on Obado's neck. it's certain that if court grants his bail application on Monday, the EACC will arrest him as soon as he steps out of court-room. ..are not even answered today.Obado met Mama Ida last week @ her Karen home & went down on his knees while crying like a child & begging 4 Raila to intervene on his behalf.Raila just laughed. Simply say, Obado is finished. The views expressed in this article are those of Babu Mmoja and Daily Updates has nothing to do with them.